For some people, pets are their best friends. They provide unconditional love and companionship. But for those who aren’t pet owners – listen up. 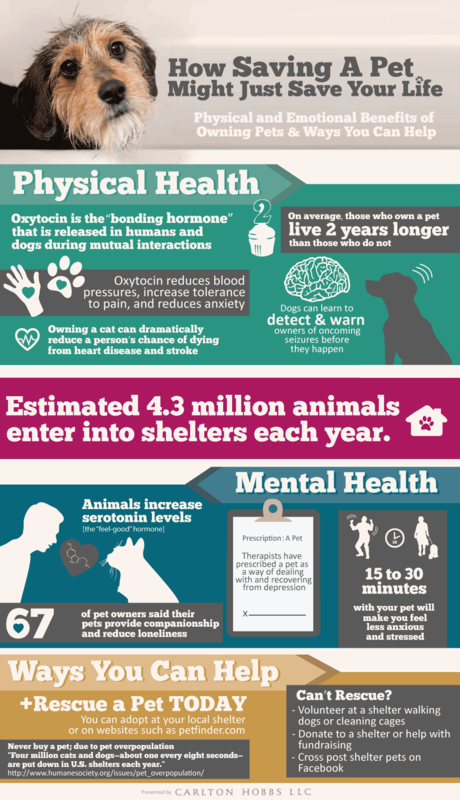 Owning a pet can have significant physical and mental health benefits. They can help you to live longer and even relieve stress and anxiety. This infographic presented by Carlton Hobbs illustrates how saving a pet might save your life.